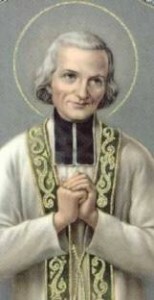 Take JOHN VIANNEY who was born into a poor family in Ars in rural France in 1786. When he commenced his studies he was in a low grade in school, and the disruptions which took place during the French Revolution further complicated the early beginnings of his life. He entered Seminary for training at the age of twenty six. After six months, the Seminary authorities asked him to leave because of the low grades in examinations. John Vianney persisted in his studies; he entered another Seminary and was ordained at the age of twenty nine. He went about his work in the village of Ars, after his Ordination, teaching, preaching, and assisting parishioners. By the time he died, at the age of 73, there were over 100,000 people visiting Ars each year, to hear him preach, received Confession and Holy Communion. The French government was wondering why so many people were going to Ars. They were travelling on foot, carts and trains. They decided to investigate. A non-believer was deputised by the French government to go and investigate the situation. When he returned he reported, “I saw God living in a man”. Today John Vianney is canonised a saint. Born into difficult circumstances with the lowest grade in school, he has become a role model for parish priests throughout the world, as the Patron Saint of Parish Priests. 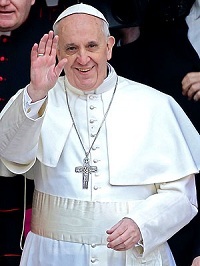 TAKE THE PRESENT POPE FRANCIS. He was studying chemistry at the local university. He was 17 years of age. He remembers very clearly what happened on the first day of spring in 1953. “On my way to the picnic passing by our local church, I decided to have my Confession heard by a priest. During that Confession, something strange happened to me. I cannot say what it was, but it was something that changed my life. I could say that it was as if I had been caught off guard….. From that moment onward, God became for me the one who goes ahead. You do not seek him. He seeks you first.” Strangely, he confided to his sister that he had intended that night proposing marriage to his girlfriend. There are many way in which God calls us. If you feel called, discuss this with an adult whom you trust or any member of our Vocations Team.